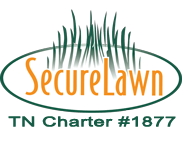 HEAR WHAT OUR CUSTOMERS ARE SAYING ABOUT SECURE LAWN. It lets us know how we’re doing and helps spread the word. If you are a past customer, please take a moment and leave a review. If you’re still considering Secure Lawn, please read some reviews our customers have left for us.